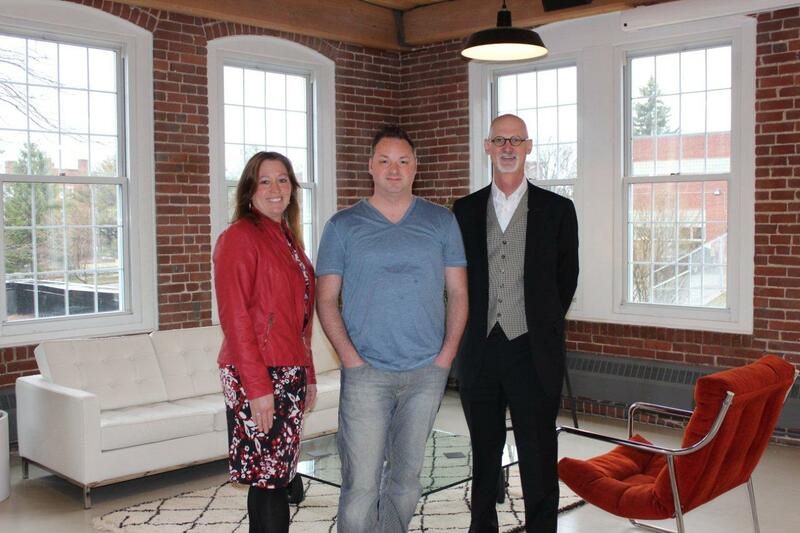 For Travis York, President and CEO of GYK Antler, finding the right building to relocate his fast growing marketing and advertising agency had to have a story. What he didn't expect was to find a building that began his own family story some 55 years earlier. With the help of financing from CRDC and Provident Bank, Travis along with his four brothers purchased the R.G. Sullivan 7-20-4 Cigar Factory Building on Canal Street in Manchester. The building was once owned by their grandfather and other family members from 1963 to 1980 when it was Indian Head Shoe Company, a successful manufacturer of athletic shoes. The building was most recently owned by Brady Sullivan. "It was important to us to have a building that was iconic," said Travis. "We are very thankful to both CRDC and Provident Bank for getting the deal done because it was complicated. We were never once treated like it was just a financial transaction. There is a relationship here, and that means a lot to me." "In order to get the deal closed, some gap financing was needed, and that's when CRDC came in" said Jennifer Boulanger, CRDC Loan Officer. "CRDC provided a direct loan which helped fund renovations. As with many deals, our role is to provide that gap financing that may be needed to help fund and close the loan." "Travis has beautifully renovated the building which is not only rich in his own family history but that of historical significance as a mill building that once manufactured cigars in the early 1900's," said Stephen Heavener, CRDC Executive Director. "The new GYK Antler office is truly a modern day workspace that boasts a creative environment with countless family memories woven in. We are pleased that we were able to provide Travis with gap financing to bring this historic building back into his family." Photo Caption: Jennifer Boulanger, CRDC Loan Officer with Travis York, President & CEO of GYK Antler and Stephen Heavener, CRDC Executive Director.